Nowadays, people spend more time on Internet browsing and online media enjoying, either through computers or portable devices like smartphones and tablets. However, for various purposes like funny video sharing or convenient video sharing, people may still want to download online videos to save on computer or burn to DVD/Blu-ray disc. So many questions like "how to download a youtube video to a dvd" and "how to burn downloaded video to dvd" are easy to find online. This guide offers you detailed solution on how to download video to DVD/Blu-ray disc for convenient playback on multiple DVD players and TV sets. If you’ve already downloaded videos from online video sharing sites and just need a solution to burn downloaded videos to DVD/Blu-ray disc, go to the "Part 2" directly. Besides YouTube, the most popular video sharing sites around the world, there are still hundreds of video sharing sites, from which you could download videos freely, like Facebook, Dailymotion, AOL, Metacafe, MegaVideo, Vimeo, Break. BlipTV, Veoh, VideoBash, LiveLeak, MyVideo, FunnyOrDie, Nico Video, etc. To download videos from these sites, all you need is a powerful online video downloader. The recommended video downloader is Leawo’s Online Video Downloader, a professional online video downloader software program that could download videos from 100+ video sharing sites without any quality loss. 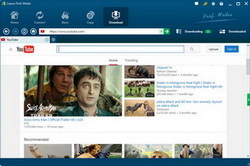 With Leawo Video Downloader, you could freely download any video from any site. Follow the below guide to learn how to download online videos. 1. Click the wheel icon on the top-right corner and then navigate to the "Download" option. Set output directory in the "Save videos to" option to save downloaded videos. 2. Launch Leawo Online Video Downloader, open the "Download" tab, add video URL into the address bar, or directly use the browser to search target video. 3. This video downloader would detect target videos and display multiple options of target video at different resolutions. Choose desired one to download. 4. Under the "Downloading" tab, you could see all downloading videos. After downloading, downloaded videos would be listed under the "Downloaded" section. If you want to convert downloaded videos to other formats like MP4, WMV, etc., right click downloaded video and then choose "Add to Convert" button. On the right-click menu, you could also see a "Add to Burn" option, by clicking which, you’re lead to the Part 2. To burn downloaded videos to DVD/Blu-ray disc, these things are required: blank writable DVD/Blu-ray disc, DVD/Blu-ray recorder drive, downloaded videos, and video to DVD/Blu-ray burner software. 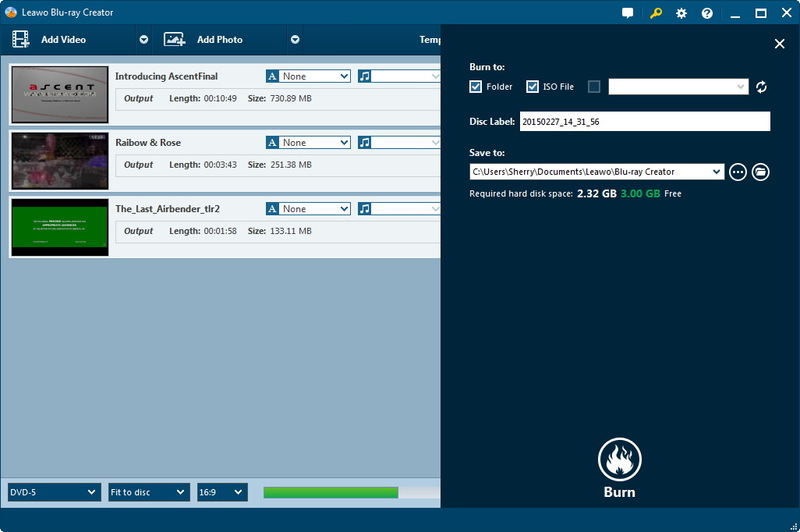 Leawo Blu-ray Creator is highly recommended (available as a single Blu-ray Creator, and a part of Leawo Total Media Converter Ultimate that could be activated by clicking "Add to Burn" option mentioned above after you download onine videos). 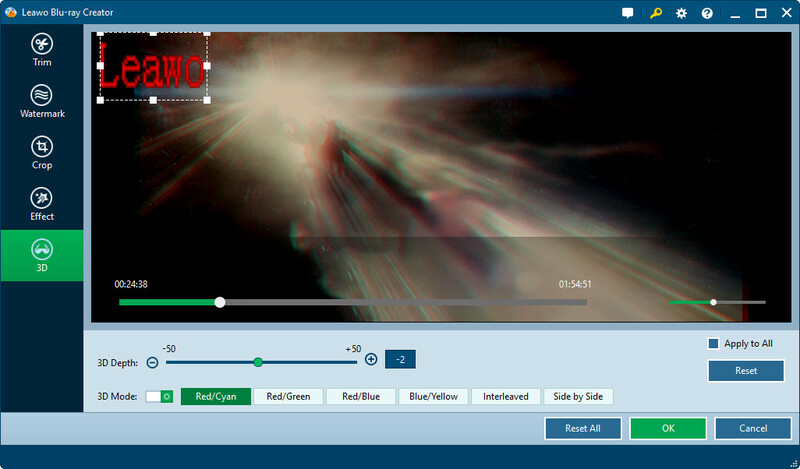 Download, install and start Leawo Blu-ray Creator on your computer. Insert a writable blank DVD/Blu-ray disc into the DVD/Blu-ray disc recorder drive. Get all downloaded videos ready. 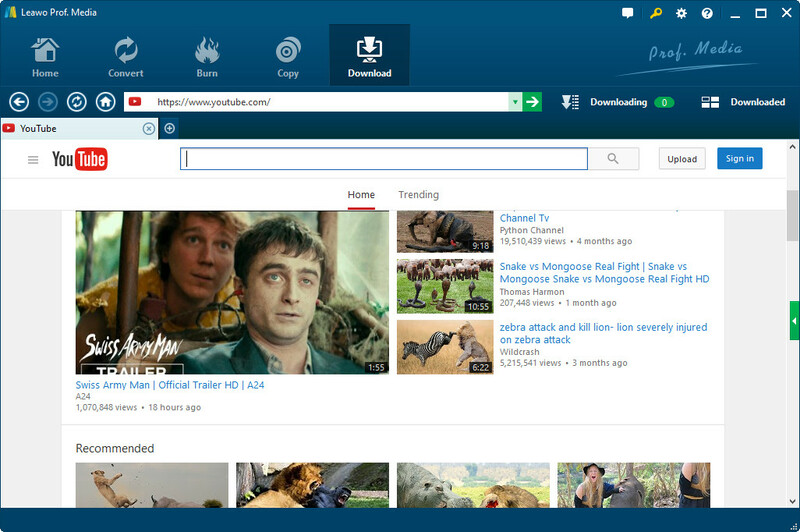 Click on the "Add Video" icon to browse videos you’ve downloaded into this Blu-ray burner software. Or you only import videos via direct drag-and-drop. After loading, set disc type, bit rate and aspect ratio at the bottom. Meanwhile, you could select display method; play back loaded videos, select subtitles and audio tracks, etc. To burn downloaded videos to DVD/Blu-ray disc, insert a blank writable DVD/Blu-ray disc into the DVD/Blu-ray recorder drive. Set disc type according to the DVD/Blu-ray disc you’ve inserted into the drive. You could burn multiple downloaded videos into one DVD/Blu-ray disc. 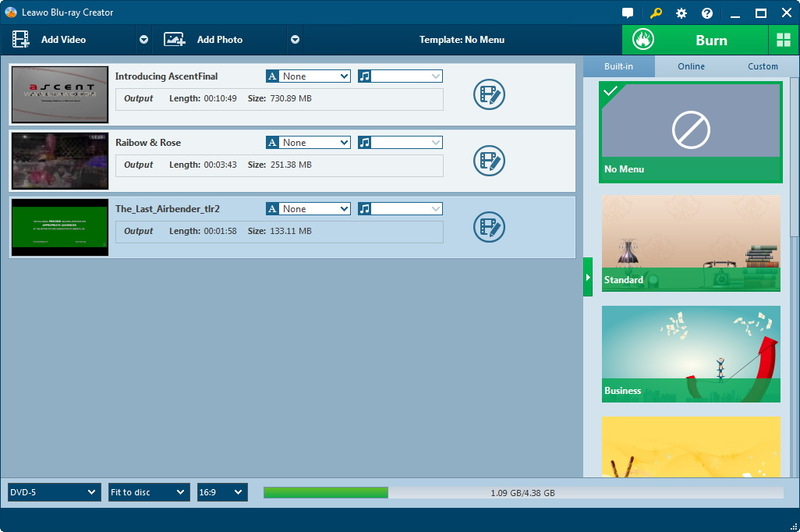 Via right-click, you could select "Edit" option to enter the video editing panel to edit downloaded videos, where you could "Trim" video length, apply image or text "Watermark", "Crop" video size, rotate photo slideshow for a special angle of view, adjust video "Effect", add "3D" effect, etc. You could also directly click the big "Edit" icon in each loaded video title to enter the video editing panel. 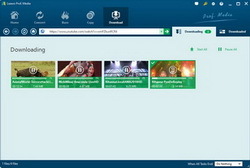 Select a disc menu to the output DVD/Blu-ray disc from the right sidebar of the main interface, and preview selected disc menu template by clicking its middle. What’s more, on the preview panel, you could click the pencil icon to edit selected disc menu: add background music/image/video, change text color/size/font, adjust title content and position, etc. If you don’t want to add disc menu to output DVD/Blu-ray disc, you could directly choose "No Menu" option on the right sidebar of the main interface. After setting disc menu, click the big green "Burn" button. On the popup sidebar, you could set "Burn to", "Disc Label" and "Save to" options. Burning Engine and TV Standard are adjustable by clicking the the wheel icon on the top-right corner to open the "Burn" tab. With all settings finished, click "Burn" button on the sidebar to start burning downloaded videos to DVD/Blu-ray. You could view all burning progresses on the burning interface.